Every once in a while I’ll catch a window. Last weekend I had one, bookended by dad duties, and I snatched it. 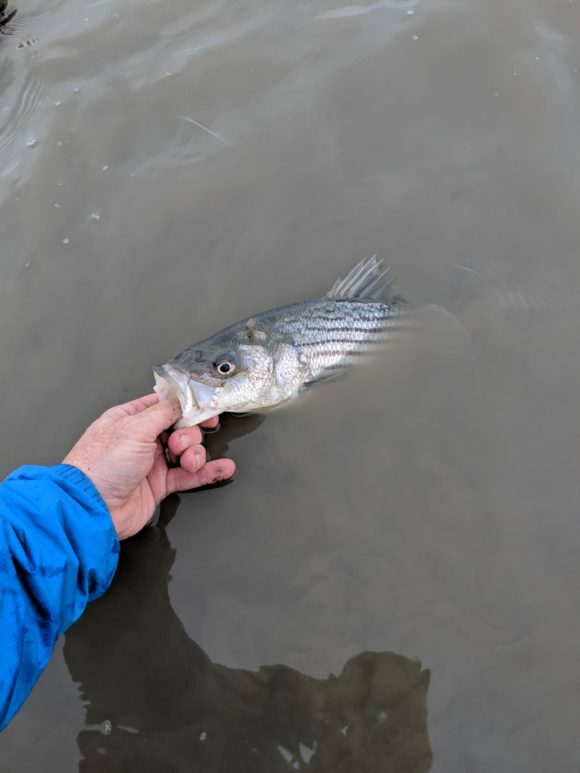 I drove the 5 minutes to my new home water and realized I picked up the wrong boots, but crammed my feet into then anyway, and I set about the methodical duty of searching for unseen fish with a fly. The wind had laid down, something it seems to do rarely in the SF Bay, and the casting was easy, rhythmic. There was some sort of seal party going on as I saw one pop up 40 feet in front of me, give me a quick glance and then slide below the surface again. 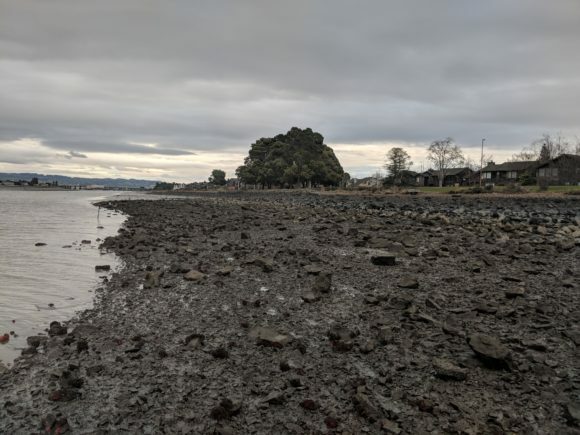 Then I saw another seal heading in, back to San Leandro Bay. Then I saw another, and another, just heads poking above the water, wakes in their path. There was a commotion further down with loud splashing and snorting, but I was too far away to see what was happening there, and besides, I found some fish. Cast, sink, strip, strip, strip and then the pull. Such a great feeling. 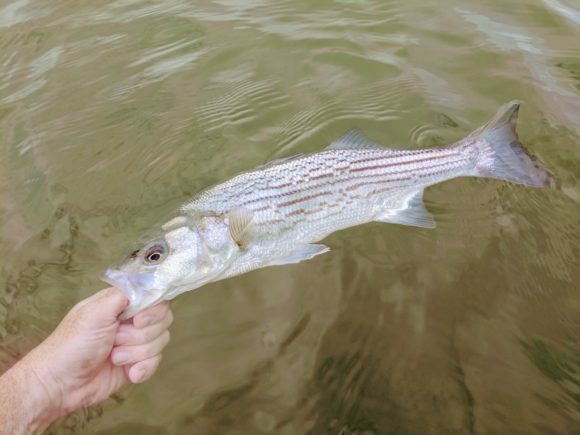 I managed three stripers before I had to retreat back to adulthood, but it was really nice to get some time on/in the water, getting some stealthy nature in hand amidst the million dollar homes and bumper-to-bumper traffic. Always worth it to get on the water.